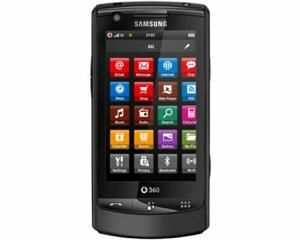 The Linux Mobile Foundation has launched the second phone in the Vodafone 360 range, the Samsung M1, to boost the number of handsets supporting the network's new service. It offers the same 3D whizzy Ui as found on its bigger brother, the H1, giving instant access to social networking and messaging options and updates. However, being a more pocket-friendly version (both from a literal and financial perspective) the M1 is a little lighter on specs too. It has a 3.2-inch wide QVGA screen, a 3MP camera with digital zoom and 1GB of storage on board, and also comes with GPS packed in too. As a media player it's not too shabby, with all manner of video codecs supported, and DVD-resolution recording available (although it may be a little choppier than your favourite movie, as it only records in 15 frames per second). It also has a whopping battery to power its touchscreen / 3G connection combo, with an industry leading 1500mAh effort. This is the second phone built on the LiMo Platform Release 2, offering an improved user experience. The M1's release swells the amount of launched LiMo phones to 44, which easily outstrips Google's Android – but the platform is still struggling to get similar worldwide attention.